CA Melee 2013 WEVO testing continues…. 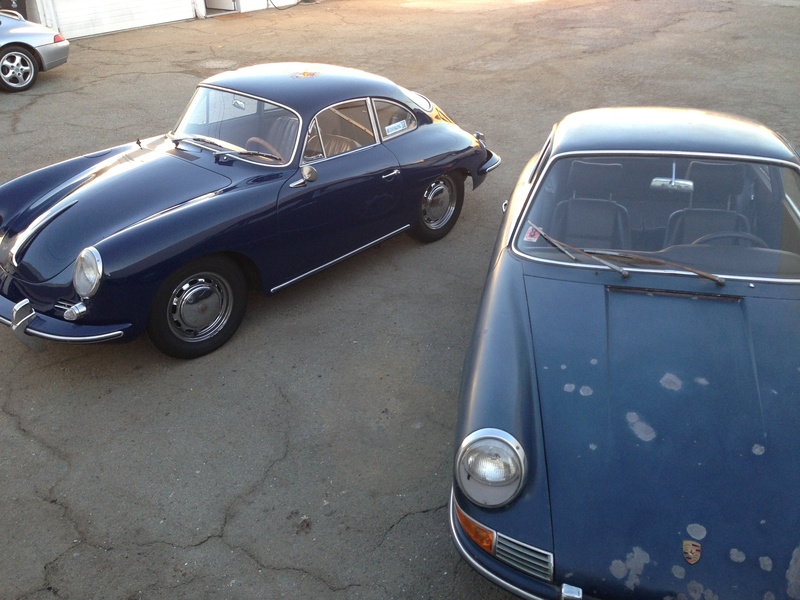 Both cars carry a swag of WEVO development parts. Both cars have parts logging durability miles. Check in over the weekend to see the great Melee cars, people and sights of back country California. The Great South American Challenge is over. 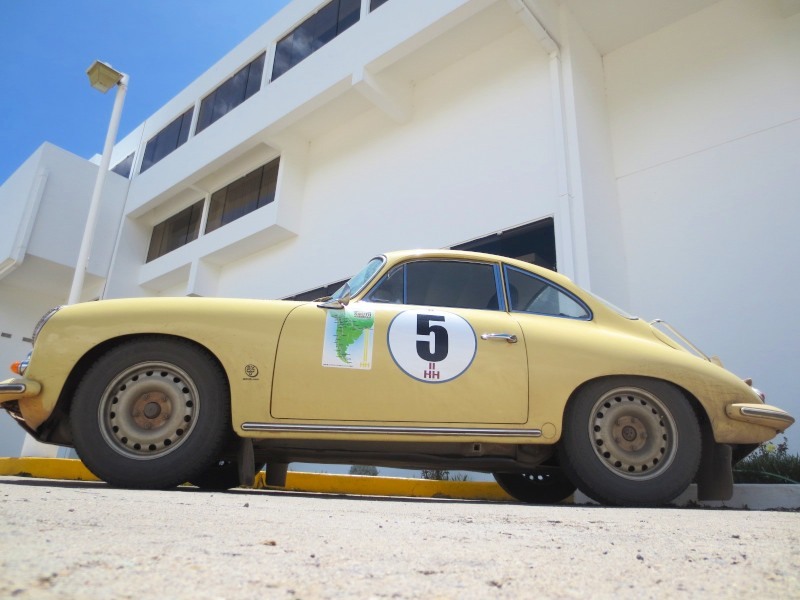 The cars have arrived in Ushuaia and Lola – the WEVO Porsche 356 Coupe – has survived unscathed. Hayden has been quiet on the event, as not much story to tell. 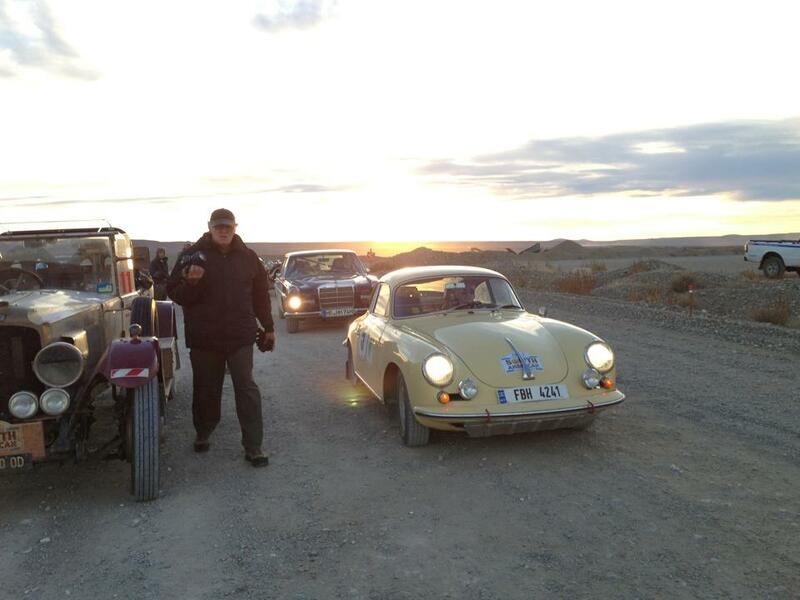 The rally was much tamer than Peking-Paris, or the madness that was London to Cape Town, so not a huge challenge for WEVO engineering or the emerging skills of our intrepid Harris/Burvill duo, combined with the fair Tracey. So ends another blogjack. Sorry it’s not been that exciting but there may be more pics to share when H is back at his desk in San Carlos. We’ll have to wait and see! 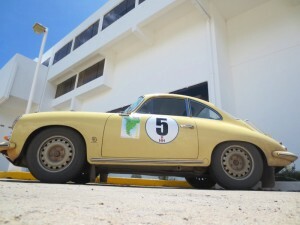 The WEVO Porsche 356 effort on the 2013 Great South American Challenge fell into dangerous territory yesterday, as Steven handed the wheel to Tracey for a while. 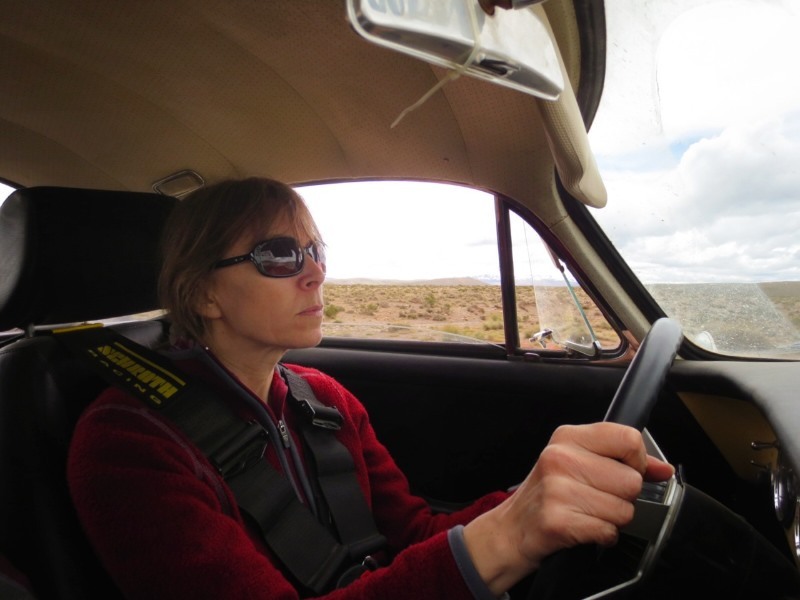 The danger does not come from Tracey’s driving: she’s a better driver than most blokes I know. The danger is in giving her a taste for winning these marathon events. How’s H going to vamoose for weeks at a time if his Mrs is better at rallying? Tracey’s first day behind the wheel endorsed her ability. “T took over driving today until Mendoza, while Steven attends to matters in NY,” reports Hayden. “A tough 600-kilometre day of introduction went well. 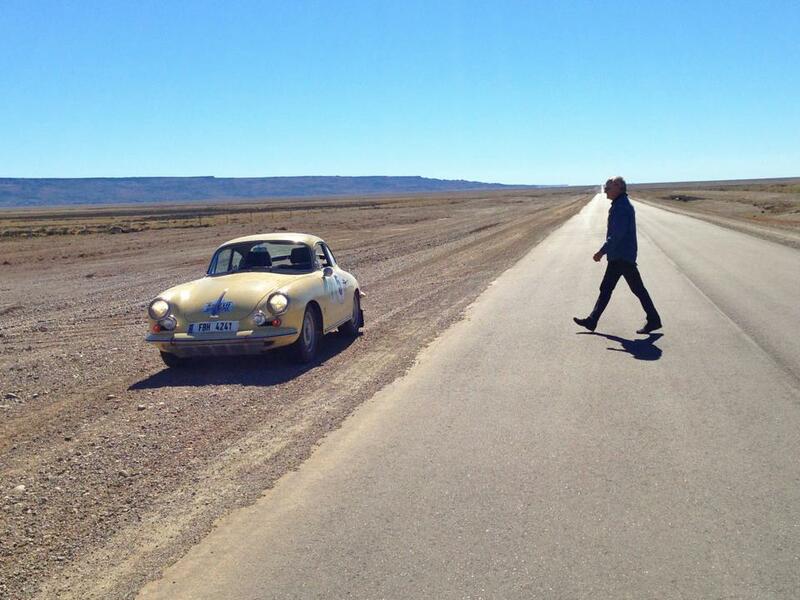 Mendoza is miles down the road. The rally arrives there on Day 25, by which time girl wonder will have clocked up more than 4,000 kilometres. Epic work by Mrs WEVO – I’m looking forward to the week ahead. 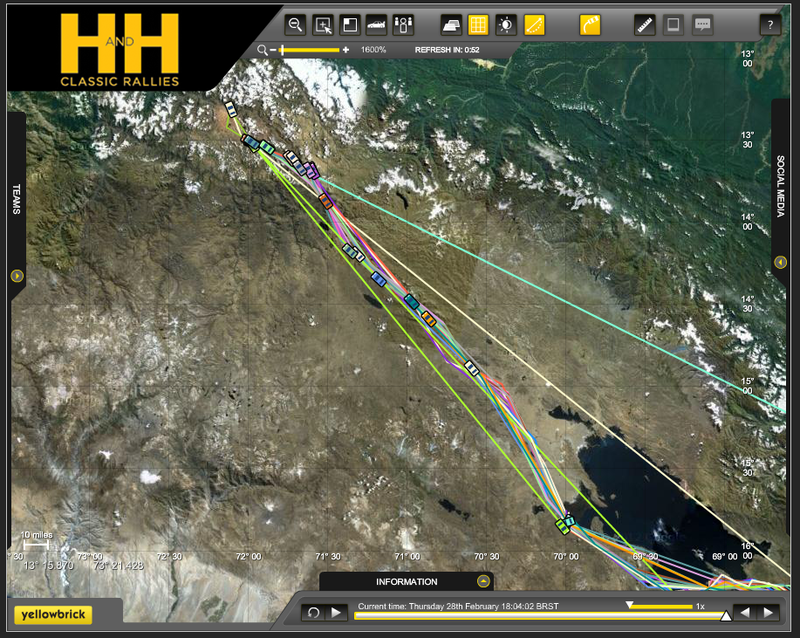 Time now in Cusco is 08:35, and here is their current position. Untick everything except the Class C box to see the cars in their group. 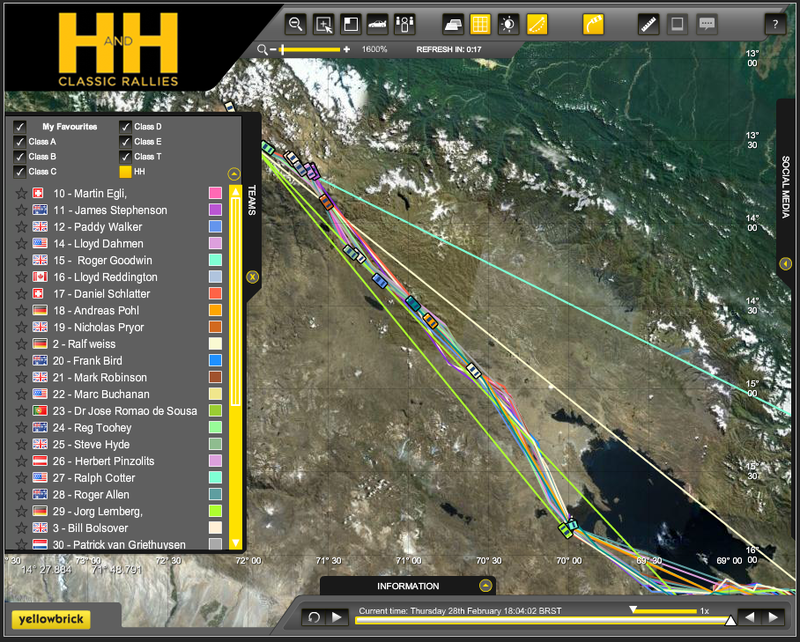 By changing the scale and drilling into data, you can really get a feel for the route the boys are following. 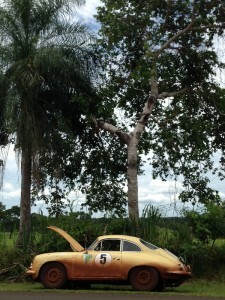 Not much Google Street View in Peru, but there is a little bit here and there. 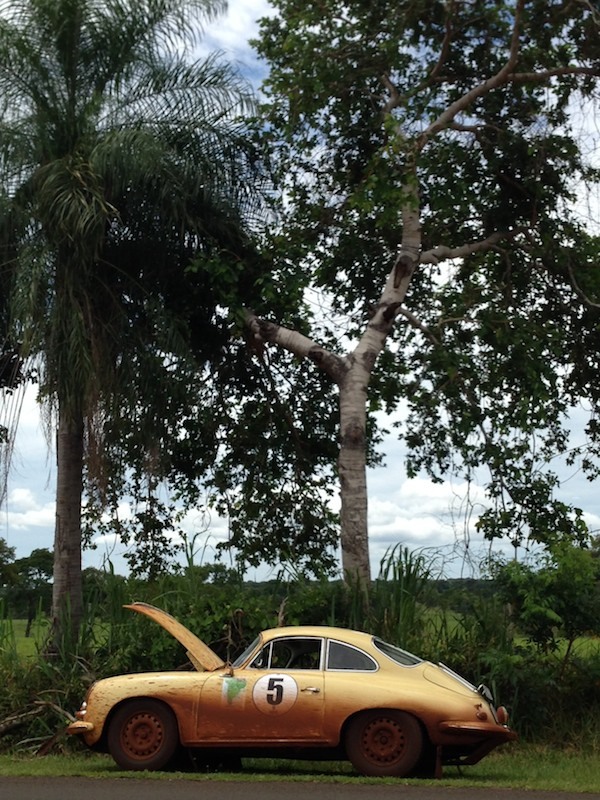 News from the Americas! Hayden and Steven have just enjoyed their second rest day of the event, at Puno in Southern Peru, on the shores of Lake Titicaca. This update was from Tuesday night. 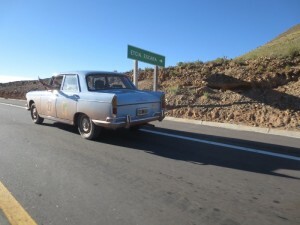 Nice drive this morning, 0500hrs wake up to leave La Paz early enough to avoid road blockages by striking workers. 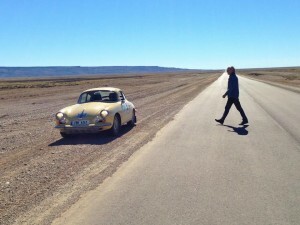 Lovely drive and little barge crossing to Peru border, leaving beautiful but contradictory Bolivia behind. Great hotel on Lake Titicaca makes rest day tomorrow even more anticipated. 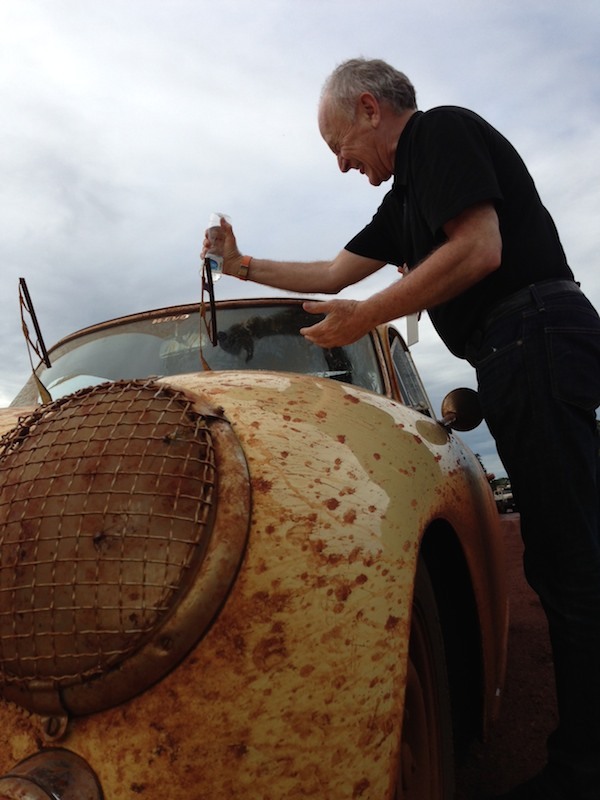 Lola still faultless, but the Porsche 356 will get a greasing and general spanner check. 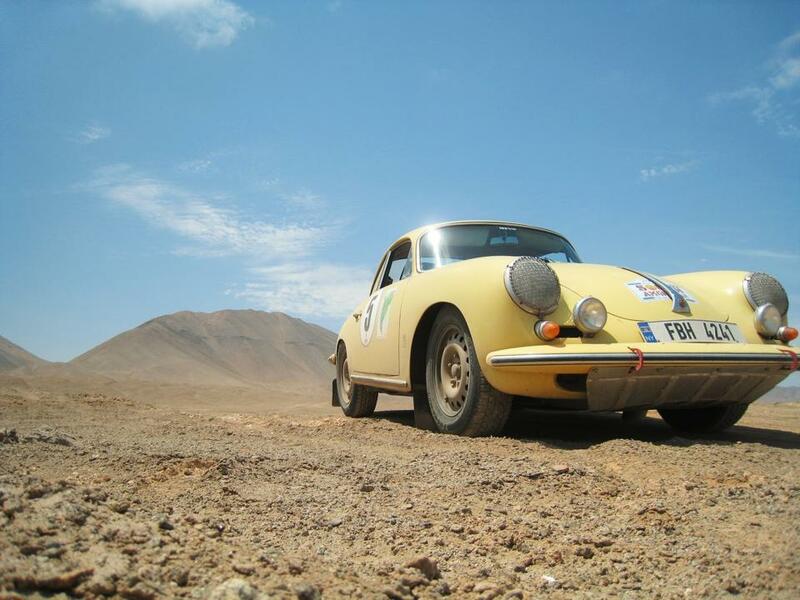 That said, Lola needs new plugs again, as poor fuel has been hard on plugs in all the old cars. T is bringing three more sets to Cusco in 2 days. We have run at over 14,300 feet without re-jetting the carbs, so very happy and proud of our sea level work and the choices Brian and I made in setting these up! Our faith in physics continues. Yesterday on the way into La Paz, we sat at 120 km/h (72mph) for an hours or so at just over 3,900 metres, or almost 13,00 feet. Where else in the world can you do that? That’s like a highway joining all the high peaks of the Rockies. Amazing! 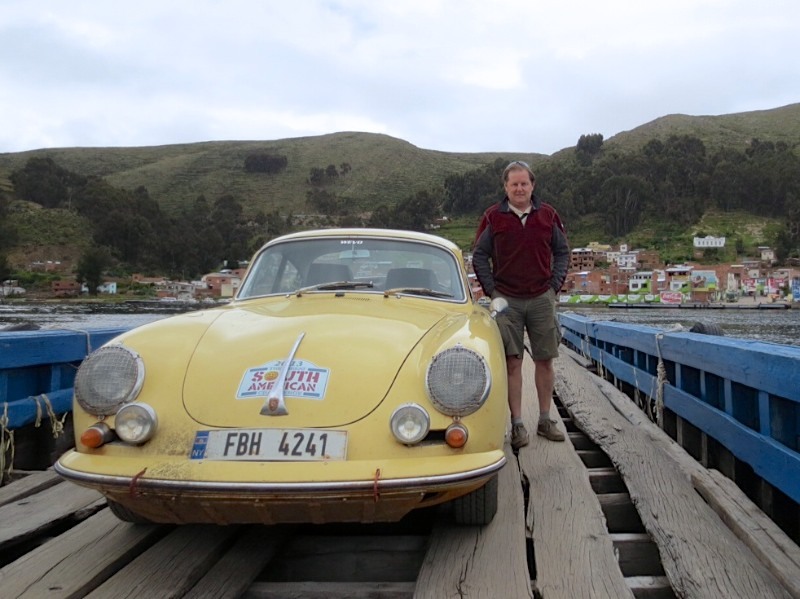 Today rest day, tomorrow Puno to Cusco, in the foothills south of Machu Picchu. 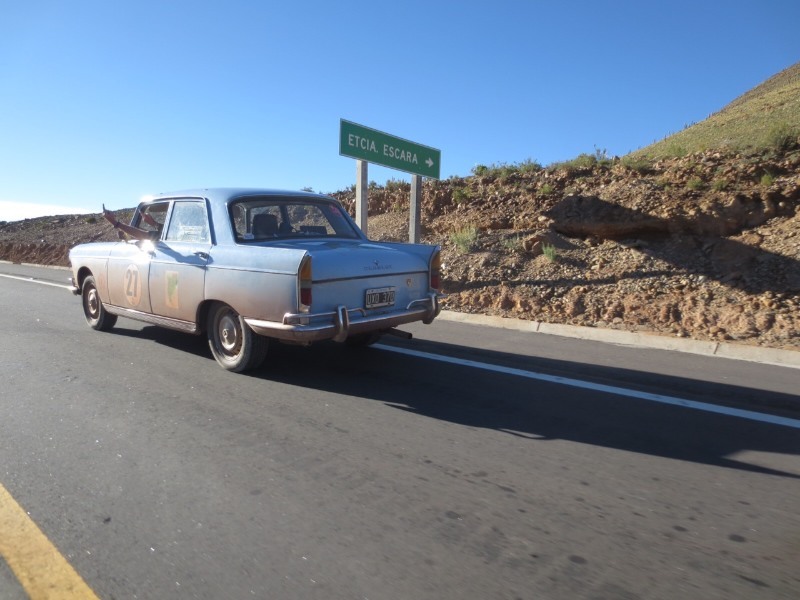 Next day is another rest day to allow some exploring in the legendary Peruvian ruins, followed by a 600-kilometre drive to Arequipa, not Aeroquipa as per the rally notes. 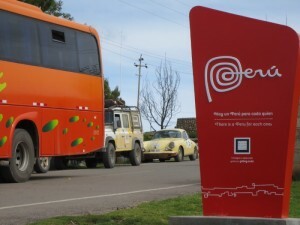 Second biggest city in Peru, the historic centre of Arequipa has been granted UNESCO World Cultural Heritage status. The old town’s beautiful heart is balanced by some of the highest levels of solar radiation in all of South America, thanks to the nearby Atacama Desert and local air pollution. Break out the UV sunblock! More news when we get it. 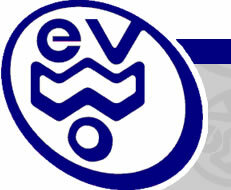 You are currently browsing the Welcome to Windrush Evolutions – WEVO Blog weblog archives.